ideal for metal door/ window, for commercial applications and where a wide gap is needed. FBMC52 is designed to be installed in commercial and industrial environments where a rugged sealed unit is required. It is ideal for metal doors, fences and gates. Each model features a high strength extruded alloy-zinc housing and is completely encapsulated in epoxy glue. The 5C-52 series feature wide gap distances and several models to meet any application need. Cored cable or armored cable is available. 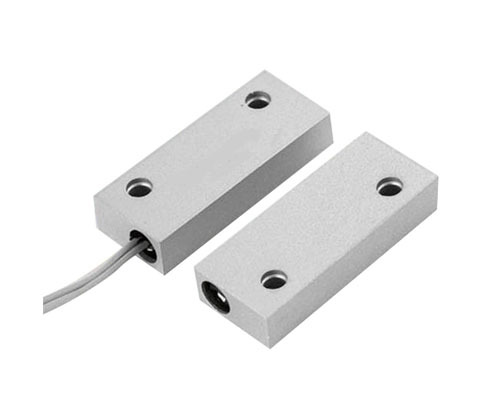 Looking for ideal Magnetic Conduction Mini Door Contact Manufacturer & supplier ? We have a wide selection at great prices to help you get creative. All the Wireless Magnetic Door Contact are quality guaranteed. We are China Origin Factory of Security Magnetic Contacts. If you have any question, please feel free to contact us.